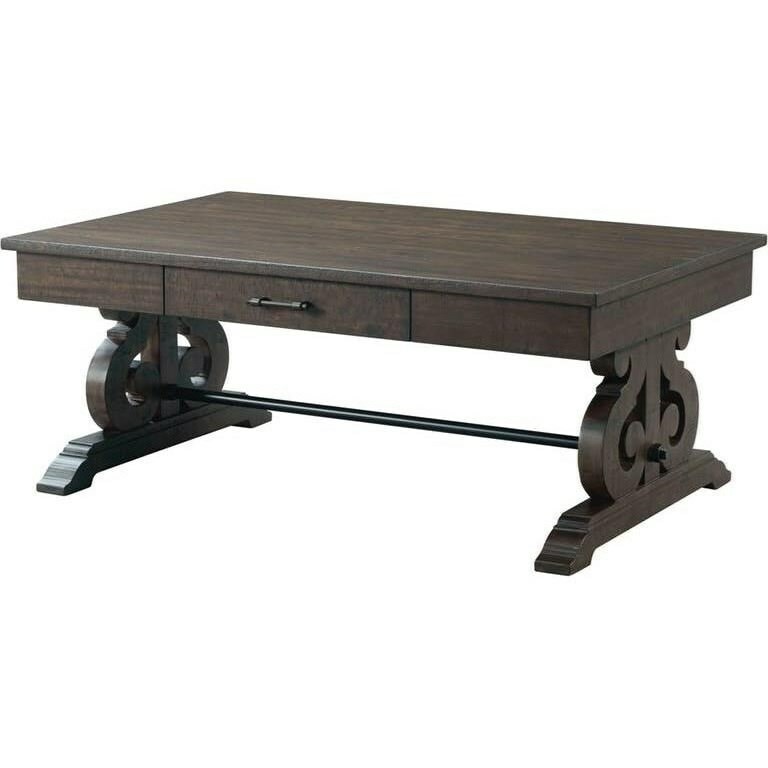 This rectangular cocktail table will be an excellent centerpiece in your living room seating area. The table is supported by two elegantly designed pedestals accented with reverse scroll details. The table has a small drawer built in, perfect for storing coasters or the remote. The Stone Cocktail Table with Scroll Accented Pedestals by Elements International at Zak's Home in the Tri-Cities, Johnson City, Tennessee area. Product availability may vary. Contact us for the most current availability on this product.